Single Touch Payroll (STP) is set to kick in for all employers from 1st July – that’s a little under 12 weeks away, and we all know how quickly time flies when we’re having fun! What is Single Touch Payroll, and how is it going to impact you? Are you prepared for it? Even better, are you going to use it as the impetus to take your business to a new level? Single Touch Payroll is the Australian Taxation Office’s mandatory ‘pay day reporting’. Companies with 20 or more employees have already been using STP for a year, and smaller businesses have had an extra year to get ready. But after 1st July, there’s no avoiding it – even if you’ve done everything by hand for the past 30 years, you’re now finally going to have to process your payroll electronically every payday, so that it can be reported immediately to the ATO. Already using Cloud Accounting Software? For many businesses, this is going to be a fairly straightforward extension of what you’ve already been doing – if you’re using a cloud-enable accounting package with payroll, such as Quickbooks Online or Xero, you’ll continue to do pretty much what you’ve always done – you’ll just need to lodge the data at the end of the payroll processing. Of course, it’s always advisable that this information is as accurate as possible – so STP is a timely reminder to ensure you fully understand the relevant awards, penalty rates, leave loadings, superannuation entitlements, and other factors which could affect your calculations. 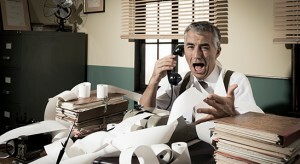 If in doubt, speak to your bookkeeper or accountant. Still using Desktop Accounting Software? If you’re still using older desktop versions of accounting software, such as MYOB AccountRight Classic 19 or older, now is definitely the time to upgrade to a cloud-enabled version such as MYOB AccountRight Live. To have STP capabilities your accounting software needs to be connected online, and those older applications are progressively being phased out – MYOB announced last year that they are discontinuing support for AccountRight Classic 19 from September 2019, and you can expect the same from other desktop packages. Not using any Accounting Software? 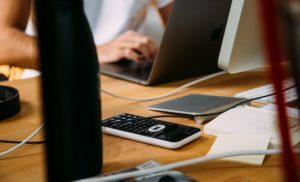 If you’ve got a small business with only 1-4 employees and you haven’t yet seen the need to computerise anything that you’re doing, this is an unavoidable necessity mandated by the ATO. One way or another, you are going to need to comply. And it needn’t be expensive either. Although we believe you’ll actually save money by investing in a full-featured accounting application, the ATO asked the industry to come up with low-cost payroll solutions for businesses with 1-4 employees, and a number of companies have released products for $10/month or less. For example, Xero today announced that they have released an STP-compliant Payroll product for $10/month. And if you don’t want to do the processing yourself, we are currently putting together some really competitive fixed-price packages that will enable you to simply report your employees’ relevant work/leave hours to us and we’ll do all the processing for you. Hopefully you won’t need to be dragged kicking and screaming into the digital age – rather, we’d love to show you that the newest technology is making it simpler to run your business, offering amazing ease of use, automation, time savings, and other benefits to help you run your business more smoothly, and freeing you up to focus on more productive, income-generating activities. If you would like to attend a FREE Information Session on ‘How Digital Technologies Can Benefit Your Business’ on 2nd May 2019, please complete the Expression of Interest below and we will update you about the precise time and venue shortly. Digital technologies are transforming our lives, but we are often left bewildered by the array of choices, and may not recognise how they’re applicable to us. Whether you’re a sworn technophobe who would rather have a plain old ‘unsmart’ phone, or you’re already using a whole range of great new technologies, we’d love to share with you how the latest breed of intuitive and almost invisible technology is opening up new possibilities to make your life and work EASIER and more productive. Join us for this FREE information session, as we share with you (in layman’s terms!) the ways you could be streamlining and enhancing your business. Yes, I'm interested in attending the free Information Session on Thursday 2nd May 2019.